For the factory settings the screen was by default on R: 100 G: 96 B: 98. So i don't think they have things like " factory calibration ". And that's the point, that's why i've use the retractation delay of amazon, my both screen wasn't calibrate, and to match as close as possible the same calibration, my settings for the color was different. For 850 euros (or actually 1100), it's just a joke, that mean i need to spend another 100 euros on spyder calibration probe ? No. So actually i stay on my old heavy Iiyama Prolite B2712HDS, at least, the colors are correct, but i stay with one monitor.. I hope someday i will find a monitor that match Quality/Price/Calibration, 27" inch, 2K resolution..
19.12.2017 - 18.03.2018 | My monitor is still at ESAG Service Center - 3 MONTHS! THREE ****** MONTHS! This is the worst service I ever seen so far. At our company we had a lot of RMAs - Acer, Samsung, Asus, Evga etc. I thought, nothing can get worse than Lenovo Service, but I was wrong. The bureaucracy and bad communication between Eizo and their service partner ESAG is just awful. Hopefully, tomorrow this case will come to an happy end... If not, I will go to the next level and contact "consumer protection". I was always convinced of the japanese quality and promises from Eizo. Now, it's just sad to see such behaviour towards clients. Don't get me wrong, I'm only speaking about Eizo Switzerland and their service partner. In Germany, France or UK things can be much better. There is one thing, that bothers me. I've seen this comment on some IT-forum. Is it true, what he said? I tested a few IPS monitors and even my notebook and there was only "silver" IPS-Glow. On the other hand, Eizo had "brown-yellow" IPS-Glow after an hour of work. Is it abnormal, or is it just another type of IPS-Glow, depending on panel and manufacturer? The Eizo colors were just a little bit more intense (reds) but color accuracy is something which many people switch. You don't need color accuracy in games, at all. The IPS Glow can vary: you can have a silver OR brownish IPS glow on ALL current high refresh rate IPS panels (it is simply a lottery, but the silver IPS glow is simply rarer but overall it is better, yes) The Eizo has the best image settings in a monitor I have seen so far (OSD settings, color temperature, sharpness, gamma etc) while the other monitors can all vary in gamma, color temperature etc. Alright, the exchange unit is here... and it's dubious. After 3 months of war, they finally decided to exchange the monitor and ordered a new one. 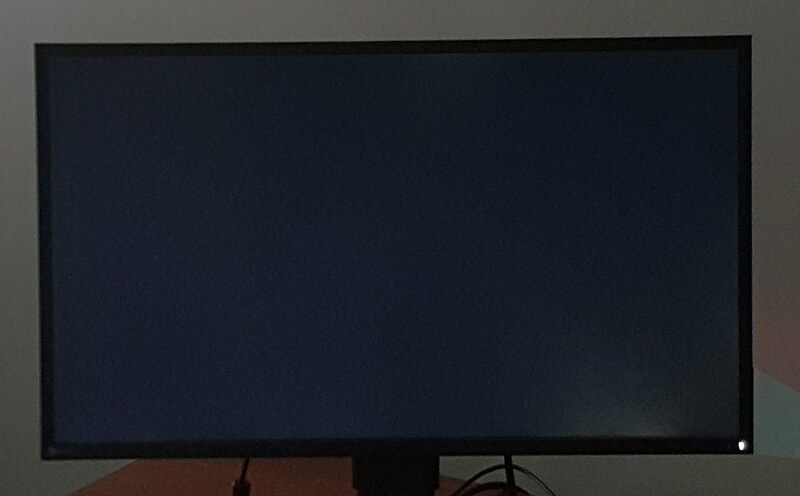 This "new" monitor had dead sub-pixels too, like my first one, so they kept it and ordered a third one. LOL. The third unit was successfully tested by some "specialists" and delivered to my door. After a few hours of warm up, I'm ready to speak about it. + The homogeneity on black background is a bit better now. I had two bigger BLB spots on the first unit and three small spots on the second one. From 2 meters distance I can just barely see them. + This specific brown IPS glow I told about is now less visible and it switched the side, now it's on the left. - 2 or 3 dead sub-pixels just after 5 hours of usage. What's wrong with those panels from AU Optronics?? - Broken joystick on the back. It's pretty hard to push "Enter", instead, it slides over to "left" or "up" all the time. - False gamma settings. 2.2 in the OSD matches 2.4 at Eizo's own test. Setting 2.0 seems to solve the problem. - MadVR monitor identification says, that the exchange panel is actually older than my first one. 2015 Week 50 vs 2016 Week 2. This time I tried to make my photos more realistic, like how I see it in person. Tomorrow I will try to make a better comparison. I have no idea. Initially, even Eizo Japan refused to exchange the first monitor. Then I made a bit pressure and explained everything to an Eizo employee, who's responsible for pixel errors and panel problems. He agreed and approved my exchange. Now, that's the third one with dead sub-pixels. At least BLB is less visible. I don't know how he will react, if I ask for a new exchange unit. And my biggest fear is, if the forth monitor will have more BLB, then I'll give me a bullet. I assume, that it's almost impossible to get a decent monitor, since it uses AUO panel. The same one, like Acer XB271HU. When I read consumer reviews, a lot of people talk about BLB and dead pixels after 3-4 months. I don't know how he will react, if I ask for a new exchange unit. And my biggest fear is, if the forth monitor will have more BLB, then I'll give me a bullet. Problem solved. It was the firmware. After the update everything seems to be fine. Mine is just bad with uniformity, and the BLB is a bummer as well. I didn't see any white discolouration on the XB271HU, it was uniform to the naked eye. Gamma is 2.2 when I set it to 2.1. This is my first post. After reading all that I wanted to react since I basically had a similar horror story with them. I bought a high end color management monitor Cx271. I chose that model because it was equipped with a “true black” feature supposed to eliminate blb (polariser). 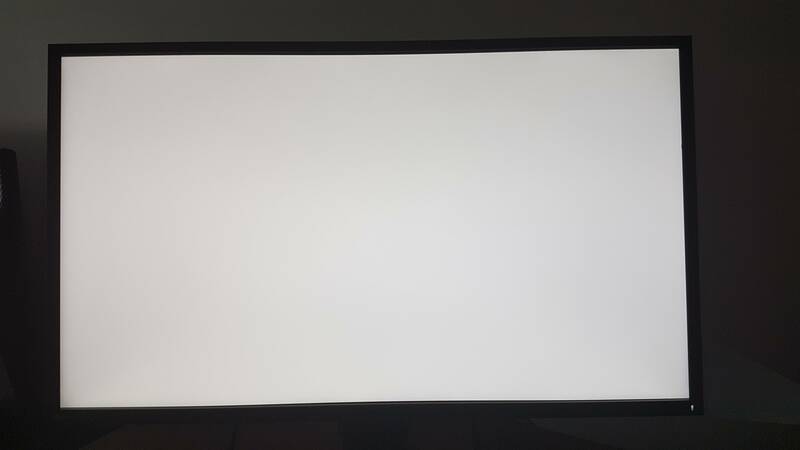 My first unit had two big magenta blb on left and right and a dead pixel. I asked for a replacement and the second was good but still not perfect (little white blb on inferior left). It was not that bad but in my view you pay a very big premium to Eizo (1.300 eur monitor) because you expect a perfect screen. So I decided to ask for a replacement a second time even if the problem was minor. One week later they brought a new unit and I realized a few hours after delivery that the unit was actually the first with blb and dead pixel. Confirmed with serial number that I still had. I was like mad and asked them what was going on. They said test passed. No problem with that unit. If not happy see directly with support (all was dealt through my shop until that). I had to send a complain letter to EU head office. At the end, they did not accept an exchange for a new unit because not in production anymore but accepted to replace by a newer cheaper (but less high end) demo unit and refunded the difference. After reading the test on this site I decided to order a FS2735 even if my first experience with Eizo was not very good. I received it today and must admit my sample is perfect. No BLB nor dead pixel so far. It was ordered on Amazon.de. After reading your comments yesterday I started to think that the units sent to reviewers may indeed be cherry picked but it seems it not the case. That is really insane, especially for their "positioning" with high-quality monitors..
That sounds awesome, congrats! I really loved my Eizo (yeah I know, each unit can really differ) Thanks for sharing your experience with Eizo! And here I am again, 7 months later. The unit I received in April is doing a good job. There's still a bit BLB on the left side, but it's way less visible compared to the first monitor. With a lava lamp on the desk it's almost invisible. I found out, that the dead sub-pixel on my new unit was just a very small, sticky dirt. I spent about 3 minutes to wipe it away. By now I can say, that I'm happy.